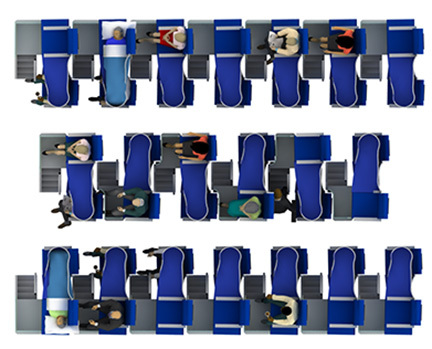 the infant in Economy or in Business class. front of them reclining into their space. circulation issues (deep vein thrombosis). 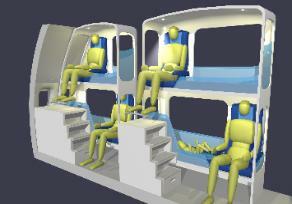 can be converted instantly to Economy Class. Upper level serves as storage. 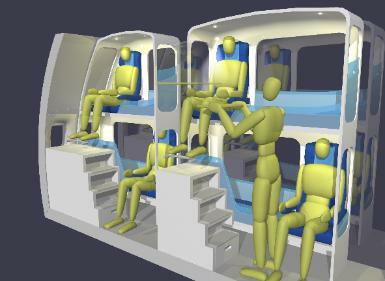 The FLEX-SEAT model provides affordable reclining accommodations for long flights with additional benefits. 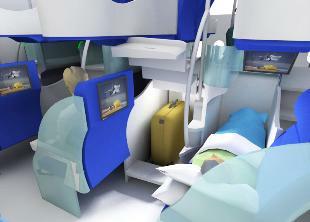 Some features are superior to conventional Business Class such as: privacy, travel with infants, room for large carry-on luggage.